This is a fabulous bust. 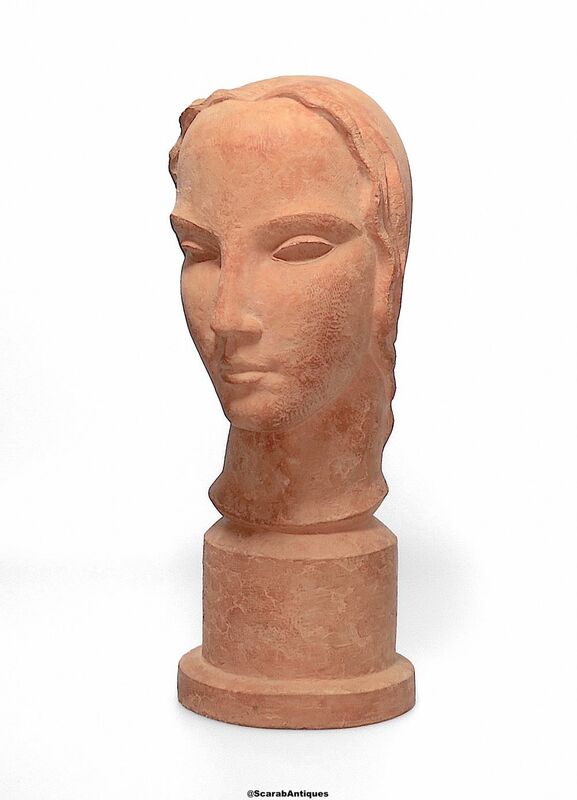 Made of terracotta and sculpted minimalistically, it depicts a woman's head with hair waving around her face and drawing into the back of her head in tendril curls. It is supported by a cylindrical tiered base that is indistinctly signed but could be "J Ruyman" it is however clearly dated "1950". 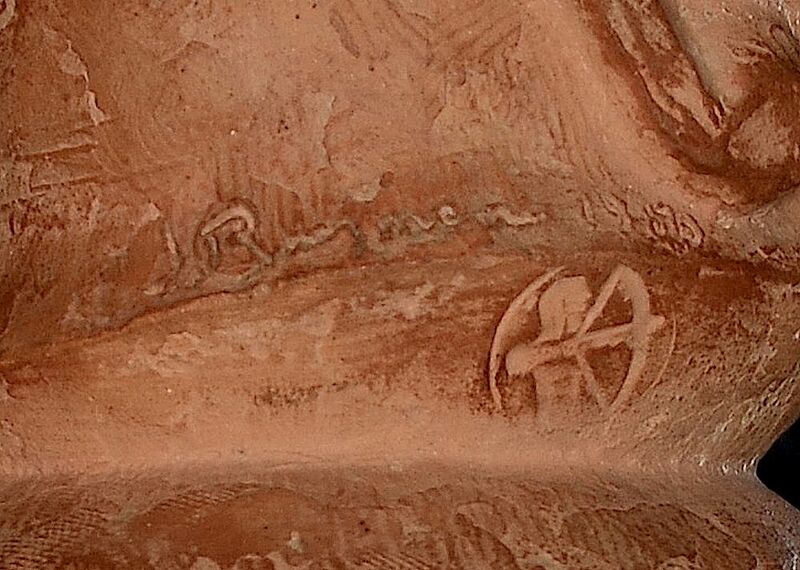 There is also a mark of an archer.